I just bought a used Back Rack but it came with Tool Box Mounts. I do not need the Tool Box Mounts and want to trade them for regular mounts (the ones w/no tool box). The Back Rack with the Tool Box Mounts attached. Rack sitting on truck bed not attached. As you can see the lower rail needs to be cut to fit the Steppie. 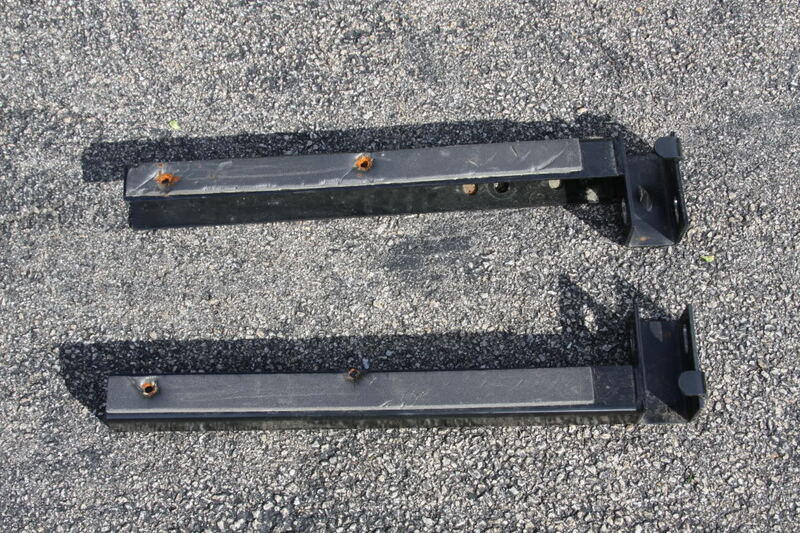 These are the Tool Box Mounting Rails that are up for trade. 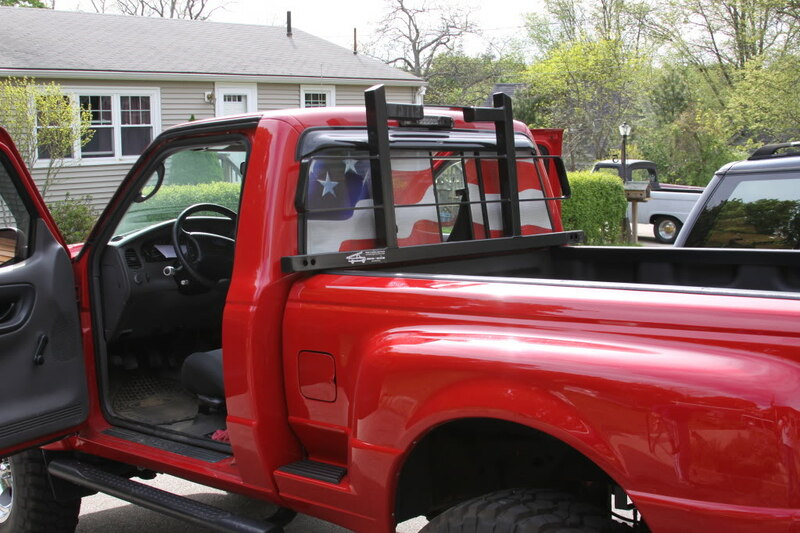 I need the shorter Mounts for mounting the rack to the bed only, no tool box. Last edited by Scrambler82; 05-07-2010 at 05:19 PM. Reason: Pics added ! 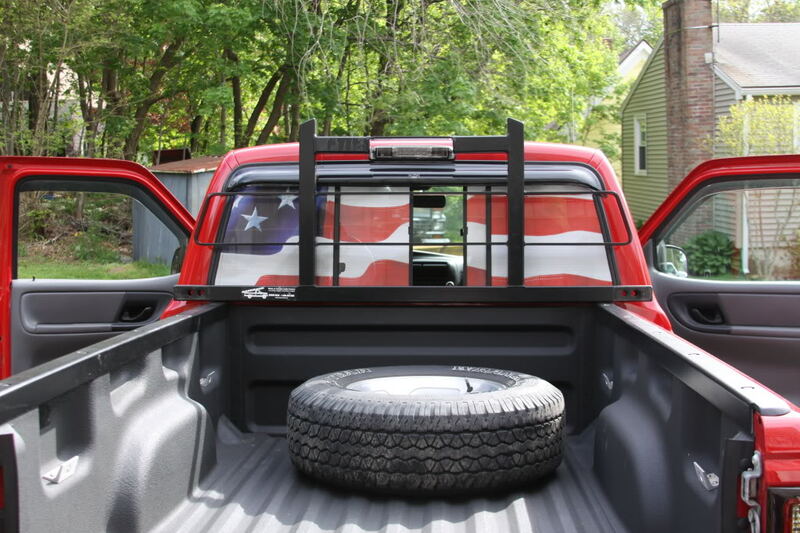 please show the back rack on your truck if you have a steppy im curious how that looks? It should look almost as it would on a styleside bed, just the lower rail will be narrower. Same width cab just the mounting has to come in some. Just got the rack this afternoon and it is sitting IN the bed now. Hopefully on saturday I will have some time to take the rack apart and see what I have to do. I will post up some pics then too. Don’t get it, help me out on this, I am a little slow on the up take. I am off to a “Canon .RAW Photo Seminar” so there won’t be any pics until am back form that. That is why I took the pics of it sitting on the back of the truck. i want to get a std set of mounts ( may have to make them) to mount the rack and cut the lower rail to fit the Steppie narrower bed but that is all; may have to mod the top plastic rail but should be too much. Hopefully someone will have the Mount and want to swap so I won’t have to hack one up. just for fun. headache rack and tool box?? 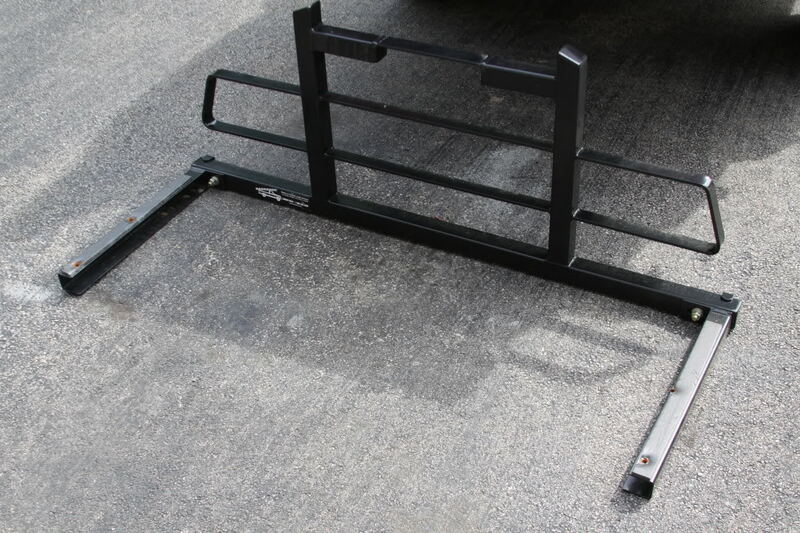 Want to Buy: back rack, tool box and FX4 level 2 shifter.